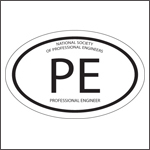 Since its founding in 1961, this division of NSPE has certified more than 135,000 engineering technicians and engineering technologists. NICET certification is recognized—and even required—by many employers and government agencies throughout the US and internationally as assurance that an individual has mastered the critical elements in a specific discipline of engineering technology. Certified engineering technicians and technologists, as part of the engineering team, can be relied on to efficiently and effectively provide quality engineering products and services, on time and within budget, which help protect the health, safety, and welfare of the public. Technician certification requires testing (written, multiple choice) and documentation, including a work history, recommendations, and, for most programs, supervisor verification of specific experience. Sign up to receive NICET's newsletter.